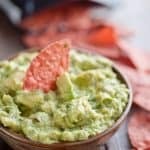 This Easy Guacamole Recipe comes together in minutes and is the perfect dip with salty chips or a healthy accompaniment for chicken, shrimp or pork! How do you like your guacamole? 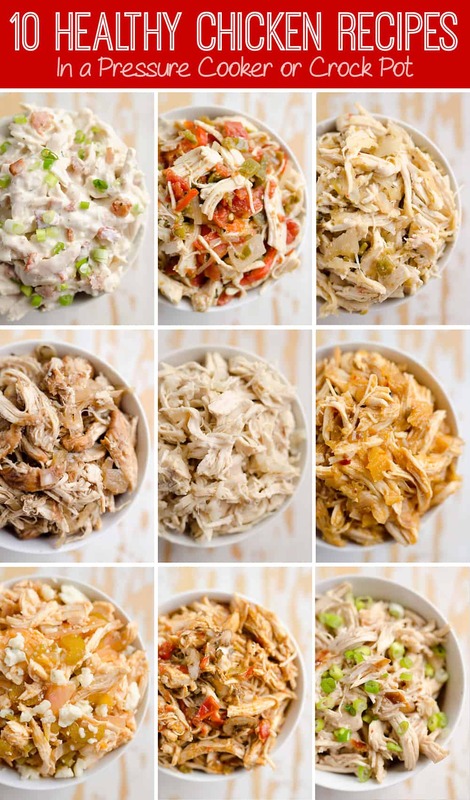 Chunky, spicy, creamy or mild? 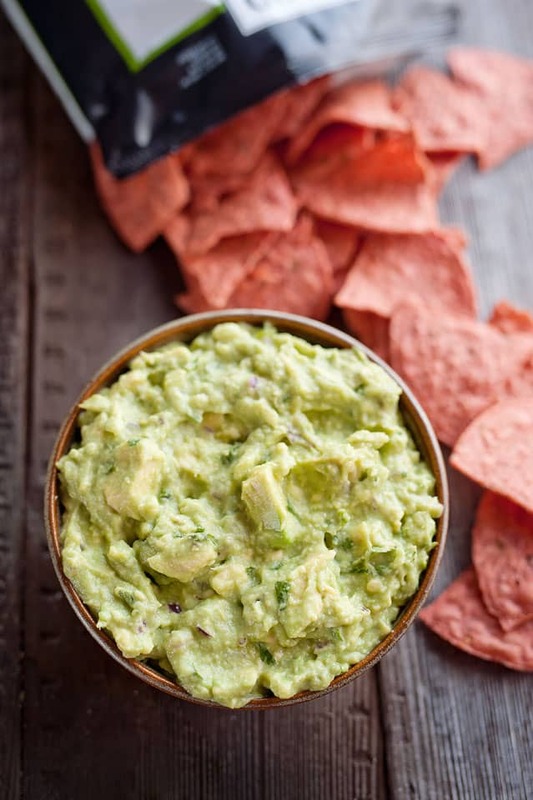 Personally, I love a zesty and chunky guacamole with a hearty amount of lime juice and a just bit of spice. My favorite way to enjoy guacamole is on some salty chips. I could pile it on these Jalapeño chips from Food Should Taste Good and be one happy lady. It is also a great garnish for favorites like Buffalo Chicken Tacos, Nachos, etc. I don’t know that I have ever met a food that didn’t pair well with guacamole?! Football season is officially over with the Denver Broncos beating the Panthers in the Superbowl last night. 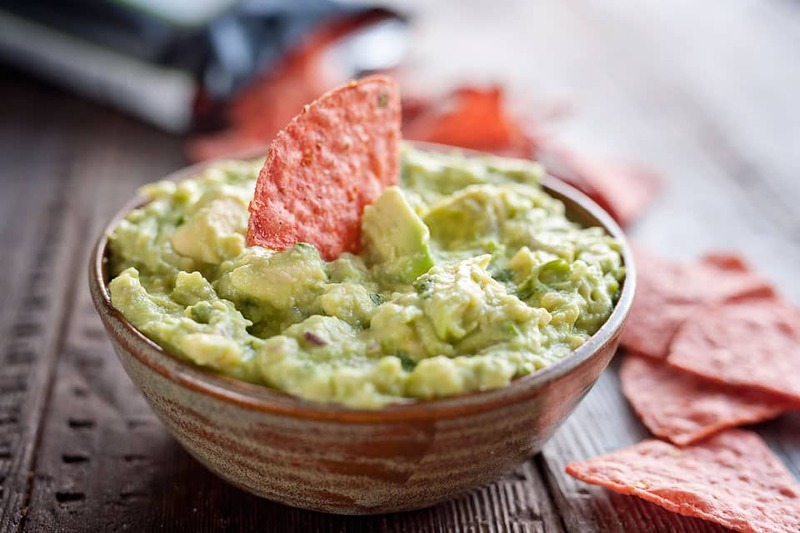 Now that you don’t have game-day as an excuse to sit in front of the TV and fill your face with delicious comfort food like this easy guacamole recipe, I am confident you will find a good reason elsewhere. With the warmer months right around the corner, you can stash this recipe away for grill outs and beach parties. The idea of warm weather being here soon makes me VERY happy! Ok, but maybe I am getting a bit ahead of myself seeing it is only February. 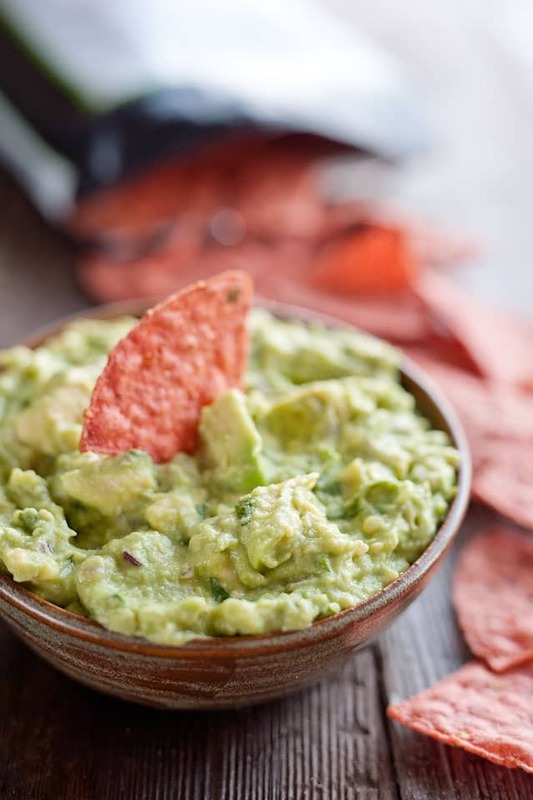 Warm weather or cold weather, there is always a good reason for guacamole! 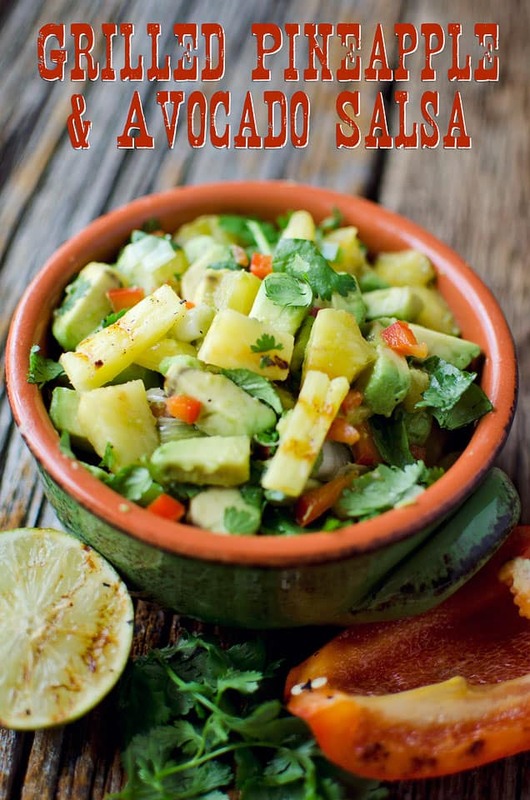 In a medium bowl, add two of the avocados along with the remaining ingredients. Mash and stir the mixture until well combined. Fold in the remaining avocado and store in an airtight container. Season with salt to taste. 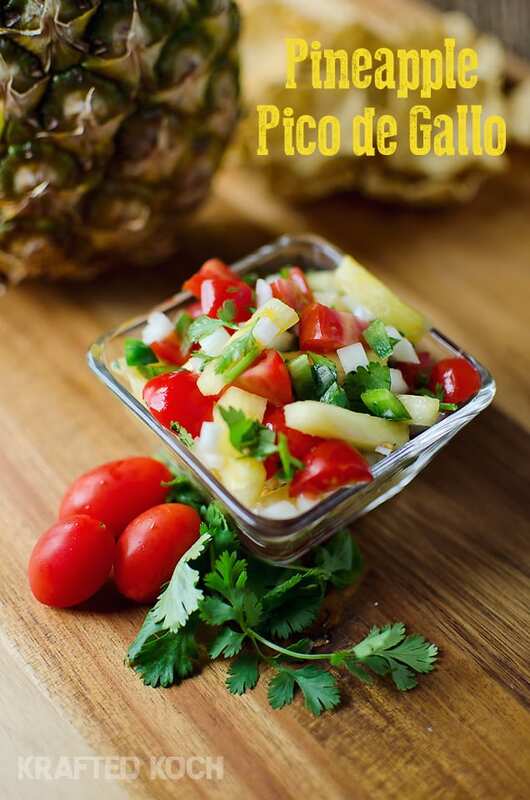 Add a layer of Saran wrap over the guacamole before putting the lid on the container to avoid it turning brown quickly. 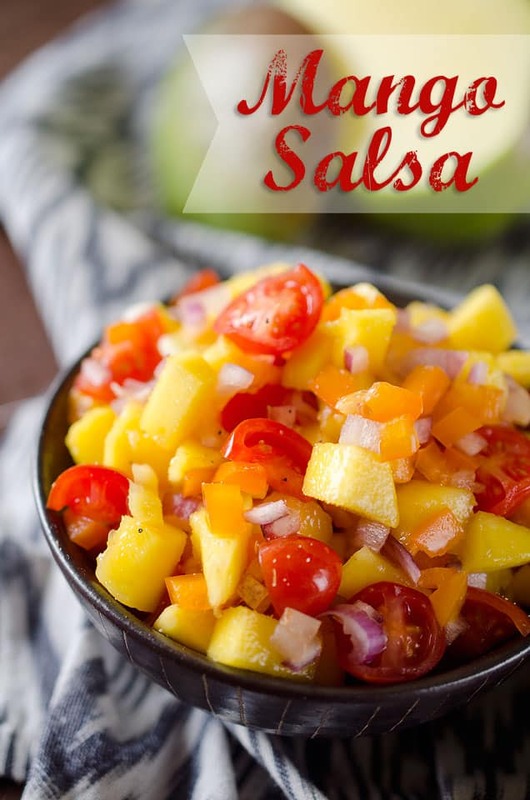 Perfect Salsas to pair with your Guacamole! 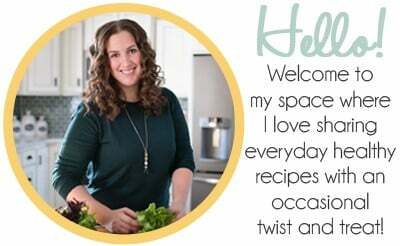 Thanks for making me love Guacamole! I could eat this with a spoon!